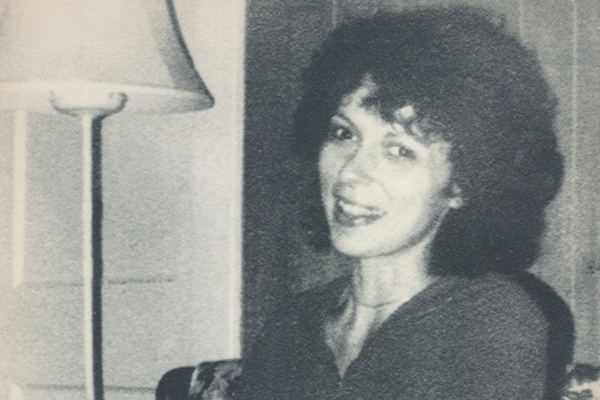 The Supreme Court case of Cruzan (Nancy Cruzan pictured) vs. Missouri established the right of individuals to make decisions in advance about treatment in future states of incapacity. Physicians and "other qualified health professionals" can bill - who does this include? NPs? PAs? social workers? Medicare has not made national coverage determinations, and is allowing local contractors to make coverage determinations. What does this mean? Will they cover it or not? Perhaps this means that local Medicare entities will decide what documentation is necessary to justify payment? Medicare is proposing to come up with a RUC-based standard of payment - I'm not clear how this relates to the previous statement about not making national coverage determinations. They note they are open to suggestions for other circumstances where advance care planning is appropriate, such as at the annual wellness examination. However, I'm not clear why these codes could not be used at the annual wellness examination as proposed - are physicians not allowed to bill for both during the same visit? I'm not the only one with questions - see a list of questions and concerns from Joanne Lynn and folks at Medicaring here, including dollar amounts (99497 - $87, 99498 - $75). Major concern they express is lack of payment for non face-to-face conversations, such as phone calls with surrogates. I want to think these through before submitting my comment. I'm also interested in other people's thoughts on key points to make in the comments. Do we ra-ra support? Suggest changes at this time? Hold back on changes for now for fear of delay? Note comments are due September 8. Finally, a HUGE thanks to the many professional organizations that have helped move this forward, spearheaded by the American Geriatrics Society. See this Pallimed post by Phil Rogers for a bit of history, and this prior GeriPal post by Paul Tatum announcing the rule change and outlining some evidence in support of advance care planning you might want to include in your comment. For CY 2015, the CPT Editorial Panel created two new codes describing advance care planning (ACP) services: CPT code 99497 (Advance care planning including the explanation and discussion of advance directives such as standard forms (with completion of such forms, when performed), by the physician or other qualified health professional; first 30 minutes, face-to-face with the patient, family member(s) and/or surrogate); and an add-on CPT code 99498 (Advance care planning including the explanation and discussion of advance directives such as standard forms (with completion of such forms, when performed), by the physician or other qualified health professional; each additional 30 minutes (List separately in addition to code for primary procedure)). In the CY 2015 PFS final rule with comment period (79 FR 67670-71), we assigned a PFS interim final status indicator of “I” (Not valid for Medicare purposes. Medicare uses another code for the reporting and payment of these services) to CPT codes 99497 and 99498 for CY 2015. We said that we would consider whether to pay for CPT codes 99497 and 99498 after we had the opportunity to go through notice and comment rulemaking. We received many public comments to the final rule recommending that we recognize these two CPT codes and make separate payment for ACP services, in view of the time required to furnish the services and their importance for the quality of care and treatment of the patient. For CY 2016, we are proposing to assign CPT codes 99497 and 99498 PFS status indicator “A,” which is defined as: “Active code. These codes are separately payable under the PFS. There will be RVUs for codes with this status.” The presence of an “A” indicator does not mean that Medicare has made a national coverage determination regarding the service. Contractors remain responsible for local coverage decisions in the absence of a national Medicare policy. We are proposing to adopt the RUC-recommended values (work RVUs, time, and direct PE inputs) for CPT codes 99497 and 99498 beginning in CY 2016 and will consider all public comments that we receive on this proposal. Physicians' services are covered and paid by Medicare in accordance with section 1862(a)(1)(A) of the Act. Therefore, CPT code 99497 (and CPT code 99498 when applicable) should be reported when the described service is reasonable and necessary for the diagnosis or treatment of illness or injury. For example, this could occur in conjunction with the management or treatment of a patient's current condition, such as a 68 year old male with heart failure and diabetes on multiple medications seen by his physician for the evaluation and management of these two diseases, including adjusting medications as appropriate. In addition to discussing the patient's short-term treatment options, the patient expresses interest in discussing long-term treatment options and planning, such as the possibility of a heart transplant if his congestive heart failure worsens and advance care planning including the patient's desire for care and treatment if he suffers a health event that adversely affects his decision-making capacity. In this case the physician would report a standard E/M code for the E/M service and one or both of the ACP codes depending upon the duration of the ACP service. However, the ACP service as described in this example would not necessarily have to occur on the same day as the E/M service. We seek comment on this proposal, including whether payment is needed and what type of incentives this proposal creates. In addition, we seek comment on whether payment for advance care planning is appropriate in other circumstances such as an optional element, at the beneficiary's discretion, of the annual wellness visit (AWV) under section 1861(hhh)(2)(G) of the Act. I am paying full attention to this issue in USA and I am a bit surprised, you all look very satisfied with this regulation, of course "the conversation is more important than the form"; but be aware of something all health professionals, deal with persons, the business approach does not fit to human needs. I think that making this process as mandatory (economic reimbursement is) will become an important mistake, you only have to look at the link between equity and reimbursement in health systems, and remember SUPPORT! Yeah, it doesn't specify who can bill it or how many times it can be billed in a particular time interval. It could be open to some abuse (like any code, I guess) if those parameters aren't specified. AMDA strongly supports this proposal and urges that the agency finalize reimbursement for this important patient service as stated in the introductory paragraph. AMDA members work in PA/LTC facilities where they take care of patients who are often seriously, critically or terminally ill, have multiple chronic conditions including dementia, and are sometimes at a pivotal point in end-of-life decision making. Very often, clinicians who take care of this population deal with complicated family situations where an absence of an advance directive creates confusion and disagreement about goals and plans of care. These services will improve the access for patients and their families to have important discussions about goals of care with their physicians, which will improve their quality of life, help assure they receive treatment that is concordant with their goals of care, and ultimately reduce unnecessary transfers and procedures. Given the importance of this service, we urge CMS not to establish any burdensome requirement that may reduce the ability of clinicians to utilize the code. At the same time, we believe that some overall national parameters are necessary to ensure that clinicians have an understanding of the intent and appropriate use of the codes. Without these parameters, the codes may be plagued by inconsistent local interpretations, which will be particularly confusing for physician practices that serve in two or more local coverage areas. We are doing high quality goals-of-treatment encounters as well as advance care planning via videoconferencing at ResolutionCare.com My concern is that the quality of many face-to-face encounters will be dismal, with the content determined by documentation requirements and checklists that serve the payer and the provider, without an incentive for quality and outcomes of satisfaction for the centrally important stakeholders...the person with illness and those that love and care for them. All of the above comments are excellent. They also touch upon some of the challenges. Putting the ability to code for something in a physician's hands, does not give them the skills needed to it. We don't question a surgeons ability to do an appendectomy, but many physicians are not adept at carrying out end-of-life discussions. I agree that there is a risk that is inherent in this code. I, for one, have been having this discussion with my patients for the past thirty years. There is no problem billing for it as "education and counseling" under the existing E&M coding system. On the other hand, there is a very valid point to be made when it comes to the "value" of this discussion. A thirty minute (or one hour) discussion with a patient nearing the end-of-life that results in comfort care no only respects that person's dignity and autonomy, but might save tens of thousands of dollars in unnecessary procedures that do not improve that patient's quality of life. What is the "value" of that discussion? What is the technical "skill" required to have that discussion? E&M clearly puts too much value on procedures and doesn't put enough value on the time of a thoughtful clinician. On balance, I hope that a code like this encourages a greater focus on training clinicians to effectively have these discussions.